Turning capacity ranges from 6mm to 790mm in diameter and up to 4 meters in length. 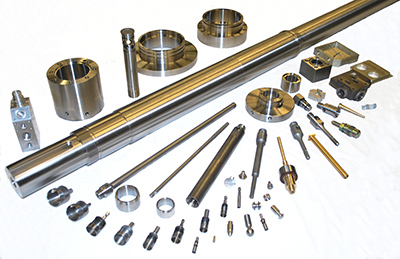 We have CNC lathes with “C” and “Y” axis, twin turrets and sub-spindles. CNC Milling machines have up to 30 tool auto exchangers, and a machining envelope between 510 x 550 x 450 mm and 1300 x 610 x 640mm delivering maximum spindle speeds of 12,000 rpm. They also have 4th axis capability. Maylan supplies machined components, sub-assemblies, assemblies, as well as offering complete supply of finished product. Our Supply Chain Management team oversee all sub-contract processing of our own manufacture, as well as the procurement of items such as motors, electrical harnesses and PCB’s.